Jeg liker å løpe langt i fjellet. 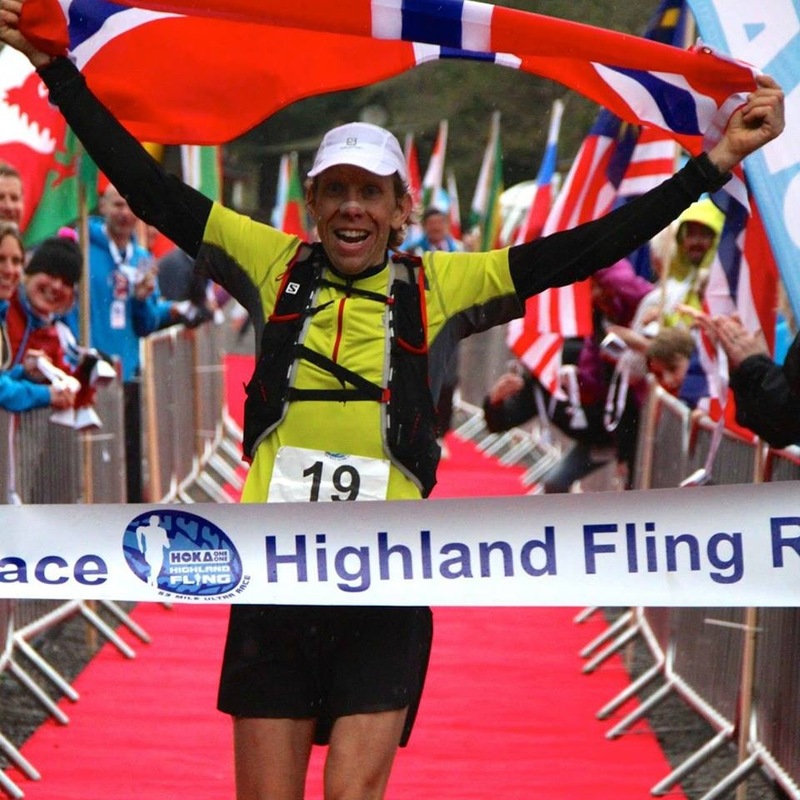 Hoka Highland Fling 2014 was a great experience, almost from start to finish. It is very fun to win, but for me it is equally important that my body responds well and that I follow my race plan. It is a very good feeling! First of all, let me tell you a little bit about my self. I am a 42 year old ultra trail-runner from Norway, a dad to Ingrid and Mari (both eight years old) and I work as a sales and marketing manager in Oslo. 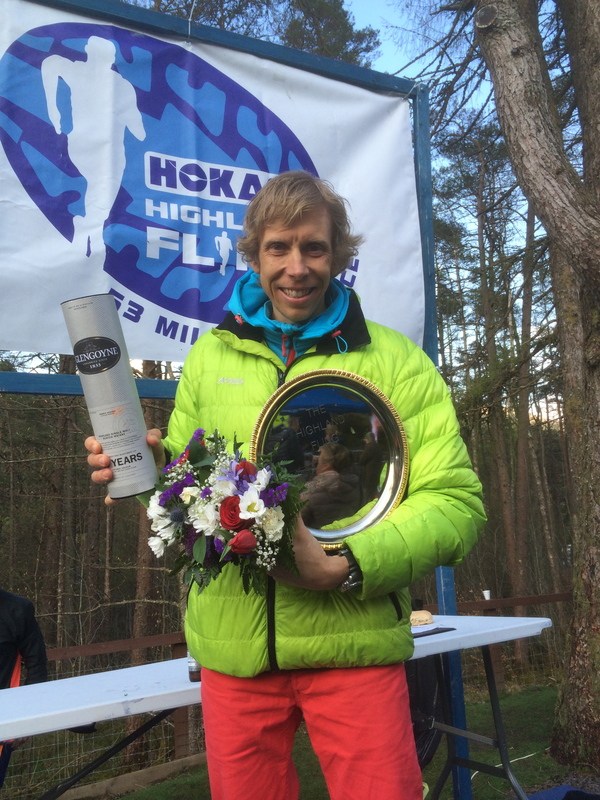 I live in Norway´s largest ski resort and do most of my winter running on snow and ice. I do a ton of runs on the cross-country ski tracks or in the ski slopes. My first ultra race was Kepler Challenge in New Zealand in 2003, when I studied for my masters degree in Australia. Then, work and other commitments took most of my focus/free time and it was not until 2011 that I did my second ultra, the 50 mile long Ultima Frontera in Spain (1st place). Last year I finished second at the Pilgrim Challenge, fourth at the Transgrancanaria Advanced (85km) and 18th at Transvulcania. 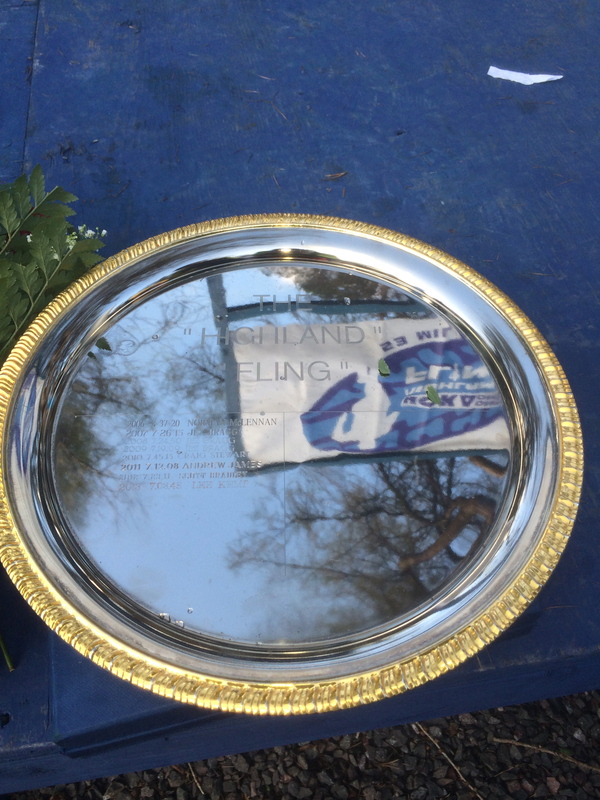 I finished off the 2013 race season with a tenth place at the CCC race in France/Italy (101km). This season started very well with a 6th place at Transgrancanaria on March 1st. 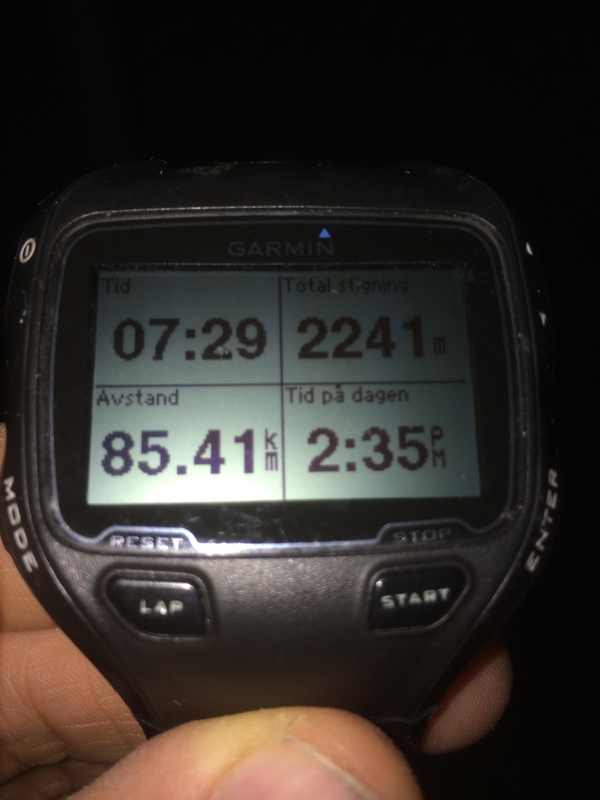 My training after Transgrancanaria has been OK, but nothing more than than that. I think I increased the volume too much too soon after my return from Gran Canaria to Norway. As a result of some rather average runs, I decided to do a good taper before the Hoka Highland Fling. I reduced the volume significantly the last two weeks leading up to the race. I am very happy that I did that, because I felt very fresh and ready to race again when I arrived in Scotland on Thursday night. I travelled to Scotland with 30 team-mates from my running club, Romerike Ultraløperklubb. We spent Friday doing very little except preparing for the race and resting. I did a short shakeout run along the river (5 miles). A taxi picked us up at our hostel in Glasgow at 4.30 AM on Saturday. We arrived at the startline 20 minutes later. The starting area was well organized and it was pretty easy to figure out where to put my drop bags. I managed to do a short warm-up before the gun went off at 6 AM sharp. I was a bit surprised with the speed that Neil Macnicol had for the first couple miles. I decided to to follow him even if I felt that the speed was a little bit too high. I felt that it was safe to stay with a guy that knew the course. Neil told me that this was his third fling. We passed the 10km mark after about 41 minutes and I think we both eased into a good rhythm. I felt really good until about 10 miles. Then, my stomach notified that there was a need for a toilet stop. After the necessary stop, Neil was out of sight. I decided to chase him and pushed the speed as hard as I could until I finally catched up with him right after the first aid station (13miles). This is just before the aid station at 13 miles. Abdelhadi Kasia Elmousthali is chasing me. After I had catched Neil, we ran together for a short while. Then, Abdelhadi Kasia Elmousthali passed us at lightning speed. And he ran soo smooth! Abdelhadi looked so strong and efficient. I tried to follow him as best as I could, but it it was not until the uphill section (I think it is called Conic Hill) that I slowly closed the gap. We ran together from the summit and down to the first proper aid station/checkpoint. Abdelhadi and I took a wrong turn just after the checkpoint, coming down to the loch. I think we lost seven or eight minutes because of that. After we had returned to the race course again, I saw Neil Macnicol in front of us and figured out that he was in the lead and that I was second. At Conic Hill, very close to the summit. I increased my speed again, and closed the gap to Neil in just over a mile of running. As I passed him, I got the feeling that he would not run at my pace. I took a quick decision and went for it! I gradually build a gap down to Neil and after a while he was out of sight. After that, I ran solo for about 30 miles. It was a bit difficult to run alone as no one at the checkpoints could tell me how far behind the next guy was. 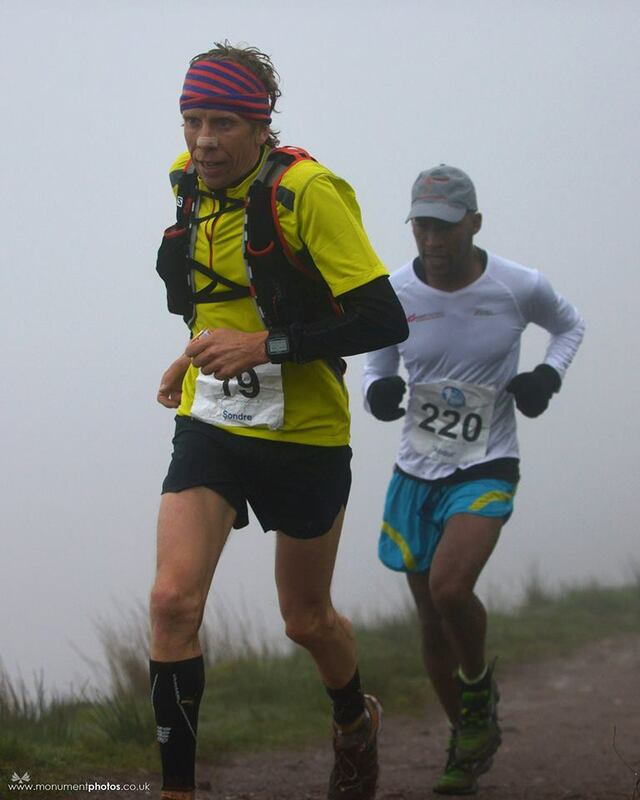 I didn´t have a clue, I just ran as hard as I could until I got to the uphills with less than 13 miles to the finish line. Leaving the loch, my speed dropped a bit. I am normally a quite strong uphill runner, so I was pretty sure that they would not catch up in that section of the race. 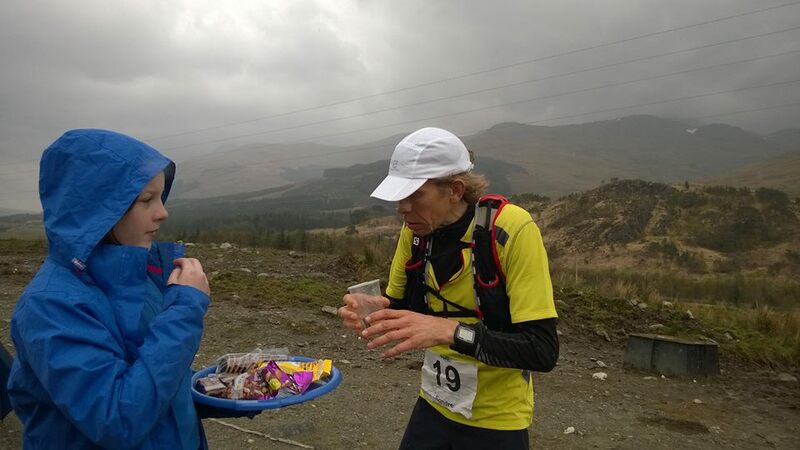 And I was right – no one was even close when I crossed the finish line in Tyndrum in 7.29. I have to mention the crew at the checkpoint. They were so service minded and helpful! Just great. They all handed me my bag as I came in, and tried to help as best as they could. Thanks to all of you! I guess Scotland is the only place in the world that you get whisky? 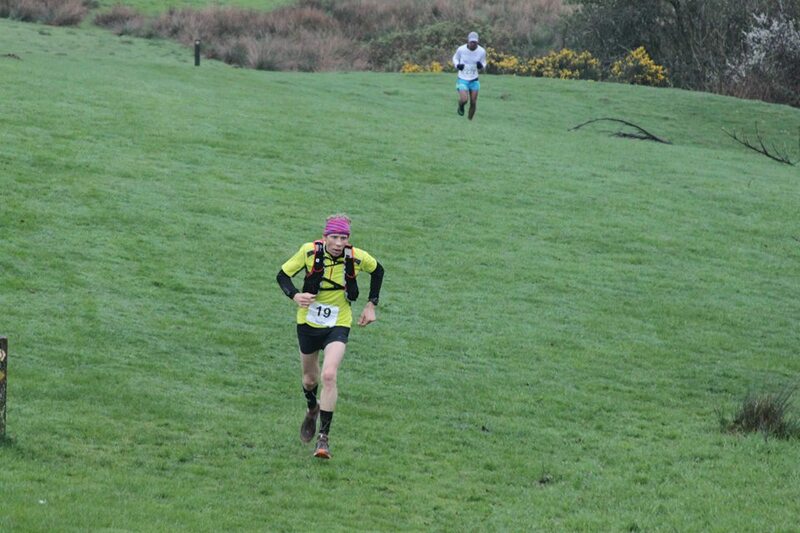 I can really recommend the Hoka Highland Fling. The course is very runnable, with just under 2000meters/6000feet of elevation gain. It is just a short section along the Loch Lemond that really slows you down (the section between checkpoint three and four) with very technical trail. The organization of the race is perfect, with very good vibes at the finish line with beer, wine and good food! Just perfect. I hope to come back and defend the title. 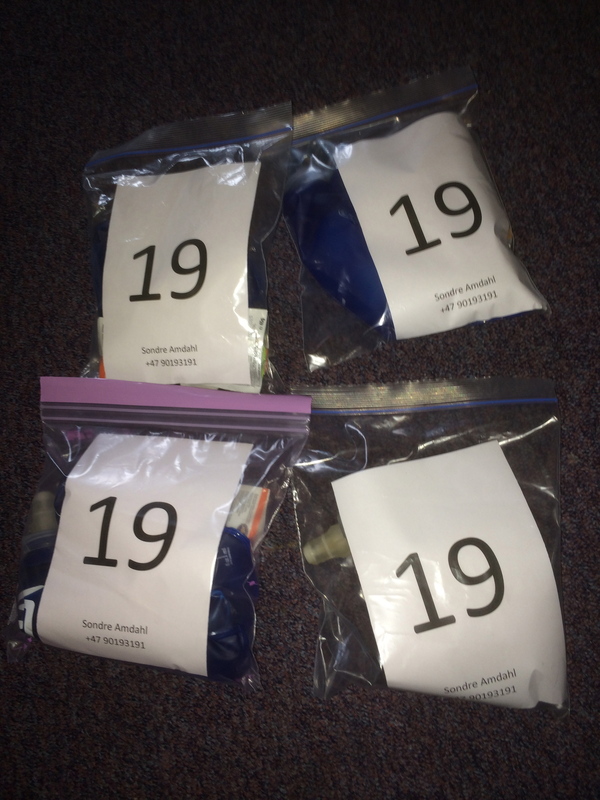 Gel every 30 minutes in addition to Tailwind Nutrition sports drink in my four drop bags. I have followed the endeavors of Jezz Brag the last couple years. Cool to be at the same «plate» as him! ← Restitusjon – like viktig som trening! Hope to see you next year. Keep running! Gratulerar till vinsten. Snyggt jobbat!!! Liss vant coaching mot EcoTrail Oslo! Martin til Hvordan unngå skader?